The Arab League has announced it is suspending its monitoring mission in Syria, citing the escalating violence in the country as a reason. ­"It has been decided to immediately stop the work of the Arab League's mission to Syria pending presentation of the issue to the League's council," the Secretary-General of the Arab League Nabil Elaraby said on Saturday. 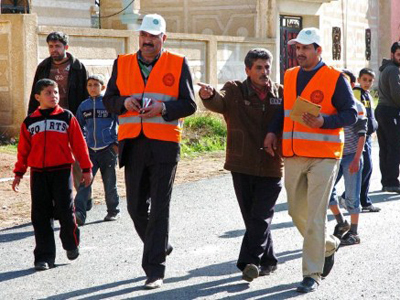 Earlier a senior League official had said the General Secretariat would take all necessary measures to protect the safety of its observers in Syria. There are around 100 observers in Syria at present. Deputy Secretary General Ahmed Ben Heli says they are staying in their hotel in Damascus, awaiting further notice. 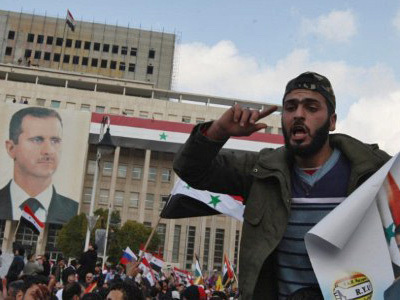 According to activists, the last three days saw at least 130 people killed in Syria. 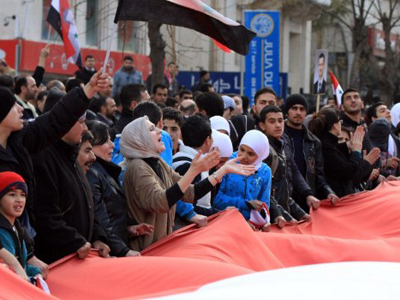 ­The League observers also reported significant escalation of violence in the period between January 24 and 27, especially in the areas of Homs, Hama and Idlib. ­In late December, the Arab League observers arrived in Syria to ensure that the government follows the peace plan designed by the organization. Although the presence of the observers did not end the bloodshed in the country, on January 22 the Arab League agreed to extend the mission and to boost the number of observers. 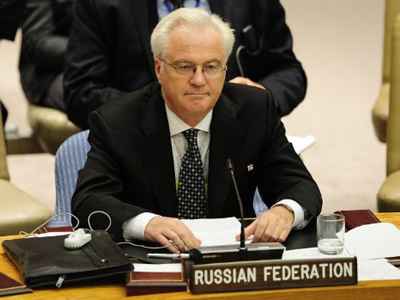 The Secretary-General Nabil Elaraby said that the mission members had seen the progress in the situation in Syria. "The presence of the Arab monitors provided security to opposition parties, which held an increase in number of peaceful protests … in the areas where the monitors were present," he said. The entire report of the mission has not been made public. On the same day the mission was extended, Saudi Arabia said it was withdrawing its observers from Syria because President Assad’s government failed to fulfill any obligations under the Arab resolution plan. Two days later, other Gulf States announced they were also pulling their monitors out of the country, citing the same reasons. ­Dr Jamal Wakim, a professor at the Lebanese International University, believes the Arab League observer mission has ended because its results did not go along with Qatar’s or Saudi Arabia’s plans. They had hoped to find evidence that would enable the UN Security Council to pass a resolution that might lead to regime change “that goes by the will of the United States and its Western allies,” he said in an interview with RT. In fact, interrupting the mission gives credit to the Syrian regime, Wakim pointed out, explaining that it proves the existence of the armed insurgents throughout Syria, which justifies the crackdown by forces of President Assad.